According to the ad agency JWT, “Web chat everywhere” is one of the 100 things to watch in 2012. In its annual prediction list, it mentioned the young startup Tokkster as one of the key examples of this new trend. We had the opportunity to catch up with the company at TC Disrupt and ask a few questions to its co-founder, Israeli entrepreneur Asher Adelman. According to Adelman, the free widget is currently in beta, but it is already gaining some traction on its partners’ sites, with an average of 1,000 chat messages sent via Tokkster each day. While the beta version gave Tokkster a chance to test its potential popularity, it was also an opportunity for the team to listen to users’ and publishers’ feedback to refine its product before its official launch. 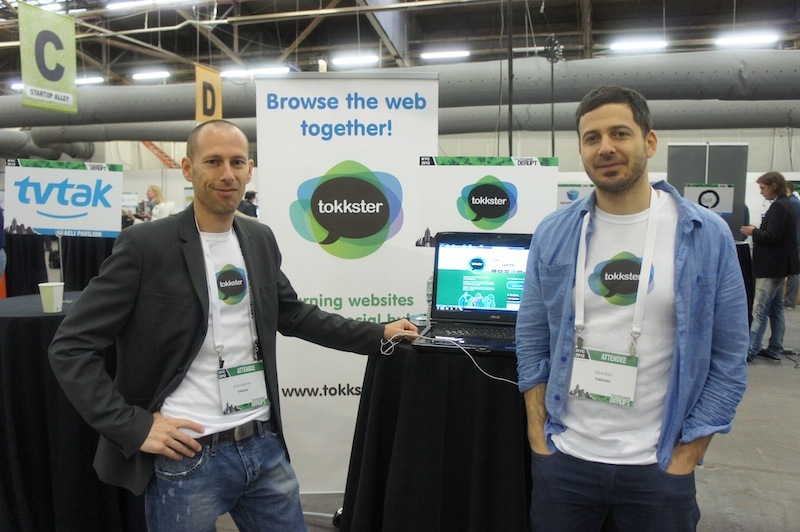 “We are now ready to expand the Tokkster widget into additional sites,” Adelman tells us. While the general chats we have seen so far are quite embryonic, users and site owners can also create topics to organize the conversation. As a matter of fact, one of the best use cases for Tokkster would be for community managers to use it as a tool to engage with the audience of their site — be it an education platform, an e-commerce site or a fashion blog. According to Adelman, it is also a way for sites to bring back comments and discussions that had shifted towards other social media platforms, while improving retention. While Tokkster hasn’t officially launched yet, it is already attracting attention in the industry, and the startup has just announced that Yahoo’s former chief marketing officer Elisa Steele and Sun Microsystems’ former senior vice president of software marketing Aisling MacRunnels have joined its advisory board.